Catch the world premiere of a unique musical creation using Artificial Intelligence, conducted by Pierre Barreau and Artificial Intelligence Visual Artist (AIVA). 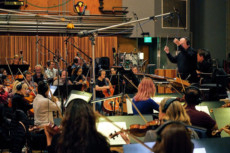 Symphony of the Elements brings together Dr Fathullah Ahmed Salih, music composer and Bait Al Oud vocal teacher, Iraqi oud player Sadiq Jaafar, singer and Bait Al Oud graduate Nejma Al Koor and the Bulgarian Sofia Session Orchestra. Five short pieces (3-5 minutes long) of music will be played linked to the elements: water, steel, stone, wind and sand. The performance will be followed by a short talk by Barreau. At 7pm, free to attend. Eyal Winter, author of Feeling Smart: Why our Emotions are More Rational than We Think, along with speakers Andrews and Elizabeth Brunner Professor of Economics, Lancaster University talk about dealing with the relationship between emotional being and rational self, and the implications of this to areas such as economics, business, romance. The talk also examines findings on the ‘love hormone’ Oxytocin. From 6.30pm to 8pm at the NYUAD Campus, Conference Centre. Free to attend. Ring in the Chinese New Year at Ferrari World Abu Dhabi with a line-up of acrobatic performances and interactive entertainment until February 9. Shows on offer include the Hao Yun acrobatic show; a Qingdian circus celebration; Khalil’s Kung Fu Academy; fun Chinese arts and craft activities for the little ones. Tickets at Dh295. 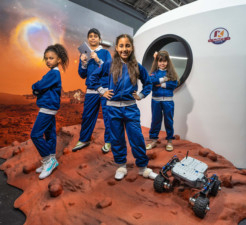 The Dubai Mall entertainment hub’s newest addition is a Space Centre to help kids understand and learn about planets and stars in a fun way. Mini-astronauts will boldy go where no kid has gone before by starting their journey aboard a space shuttle to experience the galaxy through a VR experience. After docking into the International Space Station, they will simulate a virtual ‘spacewalk’ with is a zip line. This too can be chosen as a VR experience. At the International Space Station, kids work in teams to create a ‘space rover’ by collecting samples, then play test out the rover at the play area. Ticket prices start at Dh185. Reel Cinemas is rolling out a free popcorn promotion for those eager to get their Asian movie fix. For a limited time, guests watching any Hindi, Tamil or Malayalam film will get free popcorn across all locations. Spend a night laughing it up and support local talent at Kim’s Singapore Seafood for a night of ‘Stand Up, Sit Down’. Every Wednesday at 8.30pm at Al Seef. 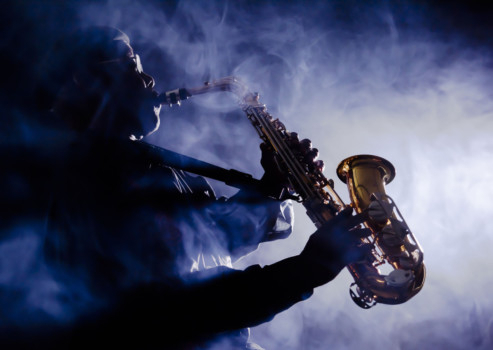 On Wednesdays, The Amphitheatre is the place to enjoy smooth jazz, with talent from the region that will perform classic hits and personal covers. at 8pm. Admission is free. 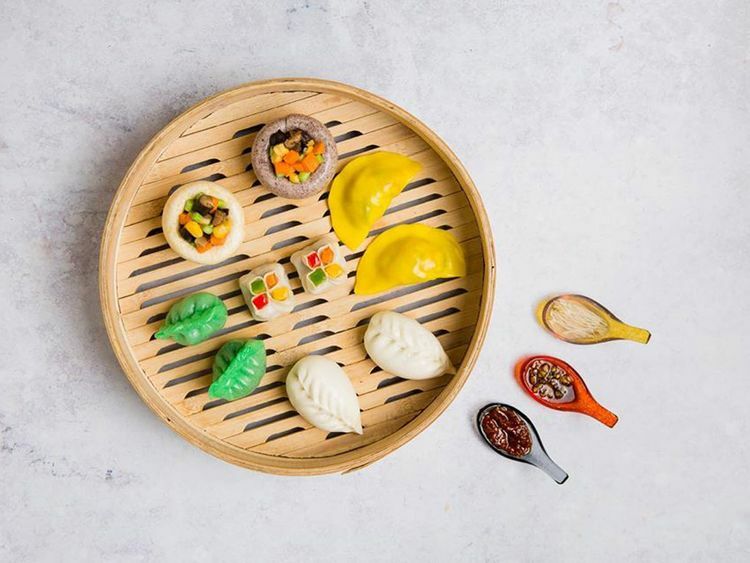 Put your cooking skills to the test with a dim sum making class. Skilled chefs at the Shangri-La Hotel will guide you, along with sharing all their tips and tricks. At the end of the class, walk away with a certificate. At 3.30pm today and tomorrow at Dh100 per person. Advanced booking is required. Artist Pals is hosting a two-hour painting session tonight where an artist will provide instructions to make a painting on your own. No art experience is necessary. All supplies provided. You keep the final result. At 7pm at MySquare Resturant, DoubleTree By Hilton Business Bay. Tickets at Dh140 and available online. Food and drinks available for purchase. Ten of Dubai’s actors converge for a night of scenes, songs and games based on audience suggestions. You score the players and after each round, the players with the lowest scores are eliminated. The last one standing is crowned the Maestro! At The Courtyard Playhouse, tonight at 8pm. RSVP to get on guestlist. The sixth edition of the annual Sharjah World Music Festival (SWMF 2019) is underway. 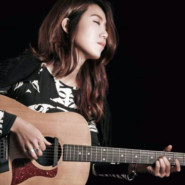 Tonight, head to Al Majaz Waterfront to catch Korean singer and songwriter Gonne Choi perform live at 9pm. Earlier, to support the local music scene, Furat Qaddouri Music Center is presenting the Stars Talent Competition at 7pm. Both events are free to attend.